It’s one of the paradoxes of businesses that start-ups, the companies that could benefit the most from professional services, are often the ones least able to afford them. Even at their lowest, the fees charged by a traditional professional services firm might be more than a start-up turns over in a single year. Fortunately, there is another option in the form of freelance business professionals and experts. Increasingly easy to find, they may also be the perfect option for start-ups. 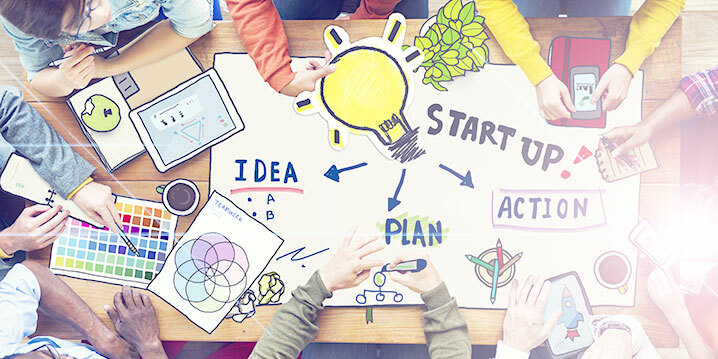 According to statistics, 80% of South African start-ups fail within the first three years. While there are a variety of reasons for that, including lack of access to markets and finance. Another major factor, however, is that many start-up founders only know about the industry they're hoping to disrupt. That means they might not know about the nitty-gritty aspects of running a business, such as investor pitch documentation, valuations, growth hacking, marketing (traditional & digital), and competitor analysis. Ordinarily, if a start-up founder identified a weakness in one of those aspects, they'd have to muddle through as best they could, learning on the fly. If, however, they bring on the right freelance business professional or start-up expert, they can benefit from years of industry experience. They can also save a founding team a lot of time and pain, allowing them to concentrate on the bigger business picture. Used effectively, that time could make all the difference to a start-up. Another thing that makes freelance business professionals and start-up experts an appealing option to start-ups is their ability to provide exactly what the start-up needs. Traditional professional services firms often have pre-set packages, with little room for manoeuvering. That means you can sometimes end up paying for things you don't need, something few start-ups can afford to do. With a freelance business professional or start-up expert, start-ups are much better placed to dictate what they need and how much they're willing to pay. It's also important to remember that traditional professional services firms are much more likely to be concerned with big, high-profile clients than they are with small start-ups however promising they might be. A freelance business professional or start-up expert will be able to give a start-up more personalised and individual attention. They'll get to know a business and its founders and do everything in their power to ensure it achieves growth, scales up and succeeds. It's clear then that the case for a freelance business professional or start-up expert is compelling. But once you've decided you need one, how do you go about finding one? LinkdPro allows start-ups looking for specialised expertise on a project-basis to connect to quality freelance strategy advisors and start-up experts who possess solid work experience from top consulting firms such as Mckinsey, Bain, BCG, Accenture, Deloitte, PwC and other leading professional services firms. With a global network of professionals and experts across 46 countries, representing a range of industries, we can ensure you're unlikely to have to look elsewhere for the expertise you need. The artificial intelligence used on our digital platform meanwhile ensures we can precisely match professional expertise with your exact needs. We also give you choice, putting forward a shortlist of freelance professionals and start-up experts for you to interview. Finally, we ensure accountability by allowing you to review project outcomes against a defined project scope. This isn't just useful for us, prompting continuous improvement to the platform. It also allows you to get a sense of how much business value the freelance professional or expert has given you.